How you interpret the themes is personal to you, your imagination, your opportunities, your availability. It’s not a competition, but you will be provided with feedback by expert PSQ Judges and upon request from club members. Each member may lodge up to four photos each month; two for the set subject for the month, and two for “any subject”. It’s not an obligation to submit, it’s an opportunity. Photos may be from any date. The “in the last 12 months” rule is gone. Obviously if you are shooting specifically to the set subjects, you will be making the most of possible learning from the club pracs and meetings. Choosing an image taken years ago may be convenient, but try not to, if you can. Photos may be colour or Black & White, unless Black & White is a stipulated monthly subject. Photos must have a title as their image’s name. A title is helpful for viewers to understand what you are intending to convey in your image. For example, if it is a lighthouse, “Lighthouse” is not very useful, as the viewer can already see that. But if it is called “stormy” or “desolation” or “loneliness”, the image has the benefit of additional power of suggestion. Images should be resized to no more than 1500 pixels on the longest side. If you have cropped your image to smaller than that, submit it in as a small file. Do not up-size it as quality may worse than just being small. 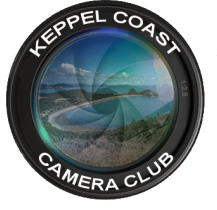 Photos can be lodged with the President electronically using Or they can be lodged at the Club “Show and Tell” meeting if you would like help with deciding which images to enter. If you want your photos to remain anonymous, they should be sent in by email instead of provided at the Club meeting. When emailing photos please use “attach” to add your image to your email. If you use “insert”, I will be unable to put the image on the website or add it to the group for sending to the PSQ. If you have any questions, please ask by phone or email.